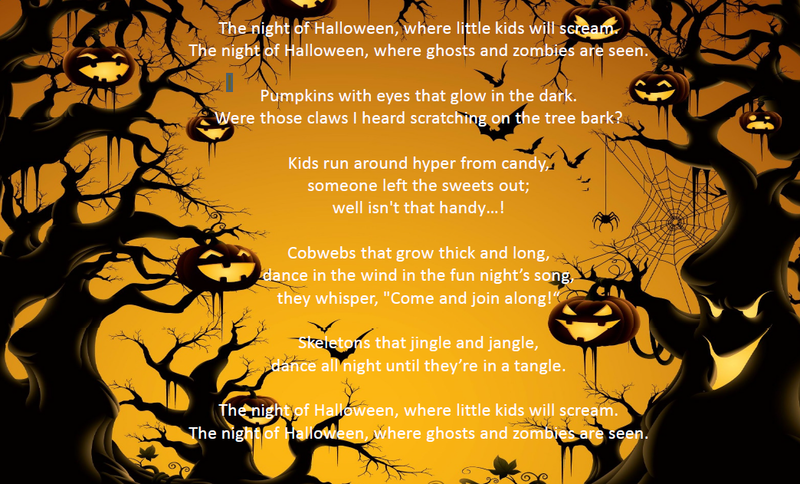 As part of our Spooktacular event, Year 7 and 8 pupils were challenged to write a poem on the theme of Halloween. There were some very impressive, well crafted pieces which made the judging tough for Emily Bourke, Ava Graham-Ryder and Katya Mackenzie, who set up the competition. However, Ana Pearson’s poem stood out for its creative, and somewhat topical, ideas; it was wonderful to watch her perform her poem to parents, teachers and pupils at the Spooktacular event. Well done to all pupils who entered! 3rd place Erin James Happy Halloween? But wait who is that at the foot of your bed?